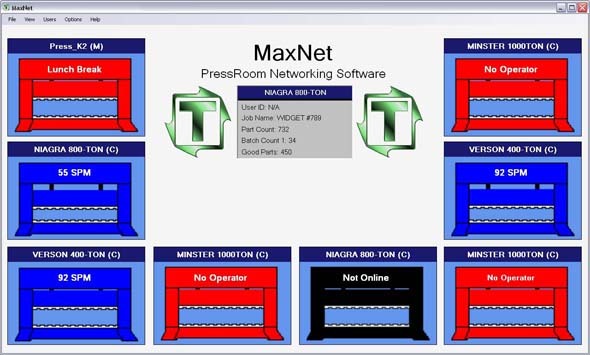 MaxNet is our networking software for use with the Maximizer press automation package and/or our All-In-One Co-Pilot. 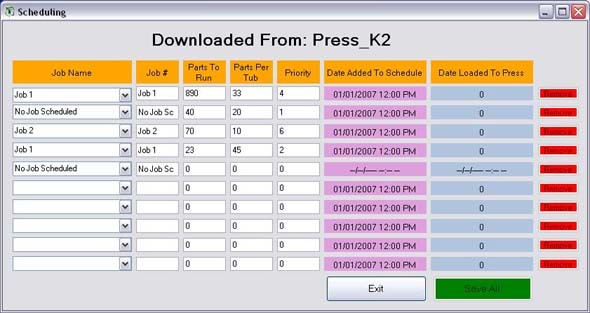 It can be customized to fit the needs of management and their production environment. 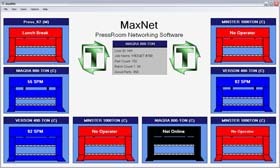 MaxNet provides pressroom production information at the click of a mouse. The software accumulates and stores data from the Maximizers and Co-Pilots. This database can then be accessed through a variety of reports. Management can perform queries to call up reports and focus precisely on the information they deem important. MaxNet has many options for creating the system that fits your needs. Information such as press parameters and automation, live press video, preventative maintenance, counter, brake information, die protection, programmable limit switch setup and other live data is available in a customized system. We can even create company specific reports.